How do I correct a left-to-right swing? Can’t hit driver like 3-wood. Hitting to the right but not a slice. How can I cure slice? How can I achieve more distance off of tee? Trouble with hooking and pulling my five wood. How to get more yards off the tee? I would like to know how to correct a left to right swing off my drives. On all of my drives the ball will swing left to right in the air. Also how could I improve distance on all my shots, like with irons and drivers. I’ve had this problem for a year and throughout the whole school golf season but I’ve been able to adjust to it thought. Thanks a lot!! Once you get the left to right fixed, you will gain distance because the left to right comes from a glancing blow that you impart on the ball and when you stop hitting with a glancing blow, a more solidly hit shot goes further. To star trying to correct that, start trying to swing the club to the right on your downswing and follow through. That path will change the way the club comes into the ball. It will come from behind the ball more and not hit the outside of the ball. Concentrate on hitting the back and side of the ball that is closer to you. I call that the inside corner of the ball. When you start hitting it there, you will begin hitting it straighter and farther. I find that I can’t hit drivers very well! But when I use my 3-wood as a driver it seems I can hit it like most would hit a driver. Is there any plausible explanation why I do this? I have a problem with hitting to the right when I use my driver, and it isn’t a slice. That might sound weird but the ball goes straighter than an arrow. With my short irons I don’t really have this problem. So, my question for you, is, how can I fix the problem that I am having? You have what we call a “push.” A push is a shot that flies to the right with little to no curve. A push is caused usually by too much of an “inside to out” downswing where the club gets to the ball after your body does. The best way to try and cure that is twofold. Try and slow your body down coming through and speed up your arms. Secondly, as you are coming through, try and have the back of your left hand brush your left knee (all this assuming you play right handed). This will get your arms and body working together and the club moving more towards target on the follow through. The problem could also be equipment related. Be sure the shaft in your driver 1) matches what is in your irons and 2) is stiff enough. Too limber a shaft in any club will cause the clubhead to lag behind your hands and produce a push. I cannot keep my balance when using my woods on the “T”. I fall back or spin around on the ball. It doesn’t seem to happen with my irons either on the “T” or in the fairway. Golf is an athletic game and your are correct to be concerned about your balance. It is very important. The golf swing in its simplest form is the combination of weight shift, rotation and the proper sequence of motion. Many times when I see a student having difficulty with their balance, especially with long irons and woods, it is usually a problem of trying to use the arms too much to hit the ball “hard.” This causes you to swing the club out of sequence and usually across your body producing either a pull, pull hook or pull slice and usually contact the ball on the toe of the club. A good drill to learn the proper sequence, without the ball, is to stand next to a wall with the wall on your left (assuming you are a right handed player). Extend your left arm until your fingertips touch the wall. Put your left arm behind your back and take your right arm and try and touch the wall with your right fingertips without leaning towards the wall. First try by swinging your right arm only (no body movement that would get your body to face the wall) as hard as you can to try and touch the wall. You will probably miss the wall and knock yourself out of balance. After you prove to yourself that swinging your arms out of sequence with your body will knock you off balance and not even reach the wall, then you are ready to properly do this exercise. How can I correct my slice of the driver? Secondly check and see where the ball is starting. If it is starting to the left of target and then slicing badly, then the path into the ball is from outside to in. Correct this by checking your posture and alignment and after those are correct, work on swinging the club away from your body instead of across your body. I have a lack of distance off the tee, despite hitting the ball crisply. 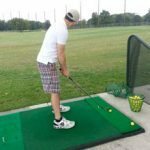 How can I achieve more distance off the tee ? 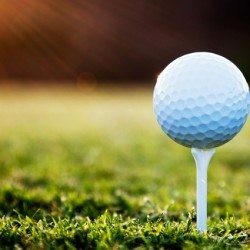 The ball flight laws that deal with distance are centerness of the hit and speed. Since you say you hit the ball crisply, then you need to concentrate on speed. Speed comes from the momentum the club generates in the swing. The farther the clubhead can travel, the more momentum it can generate. The measurement of momentum is called speed. Therefore, you can experiment with different ways to create more momentum. 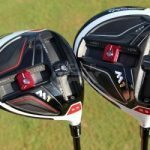 Equipment wise, experiment with longer drivers and different loft trying to find the right combination of carry and roll to help increase your total length off the tee. Increasing the width and size of your swing arc (the circle the clubhead makes around your body in the swing) is the best way to do this. Once you have made the swing as wide as long as you can, then you can attempt to increase the rate or tempo that your body moves through the hitting area. 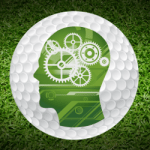 However, studies have shown that there is not much a golfer can do to increase his/her clubhead speed significantly. However, yours will. As you grow, your arms and legs will get longer and that will help increase the size of your arc. I’m having trouble with hooking and pulling my five wood it is an oversize head but I don’t think that is the problem. Could you please help me with hitting it straight. (Its a new club titanium) head. Hooking comes from the clubface being closed (looking left) at impact (if you play right-handed). A pull comes from a path of the club from across your body or from outside to inside your target line. Check how your hands are on the club and how the club looks when it is sitting behind the ball. If either is looking too far left, you will probably hook the shot. If your path is from the outside your divots will look to the left of your target. Check your alignment and how you are swinging the club into the ball. Not seeing your new club, I do not know if this applies to you. I would like to know a few tips on how to get more yards off the tee? More distance at your age comes from a couple of main sources. First is your physical makeup. Some guys will grow faster than others. And the age you are and for the next couple of years as your body matures you will feel real different on some days and soon, without knowing it you will be gaining yards everywhere in your game. 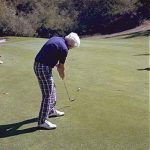 Until then, to hit the ball farther (and this will hold true when you are full grown) work on your golf swing to ensure good solid contact with the golf ball. I used to work for a golf professional that played college golf with Ben Crenshaw. He said that when Ben hit a ball it had a completely different sound than anybody else’s because he hit it so solid. 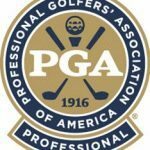 Secondly, have a qualified PGA Professional club fitter ensure that you have the right combination of shaft material, flex, length and loft that is best for you to square the clubface with your golf swing. That too will change as your swing improves and you grow. Good Luck.